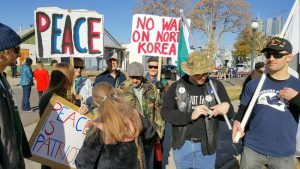 Colorado chapters of the Veterans for Peace found a welcoming atmosphere in this year’s Veteran’s Day Parade despite a rough experience in both Denver and around the country in 2016. 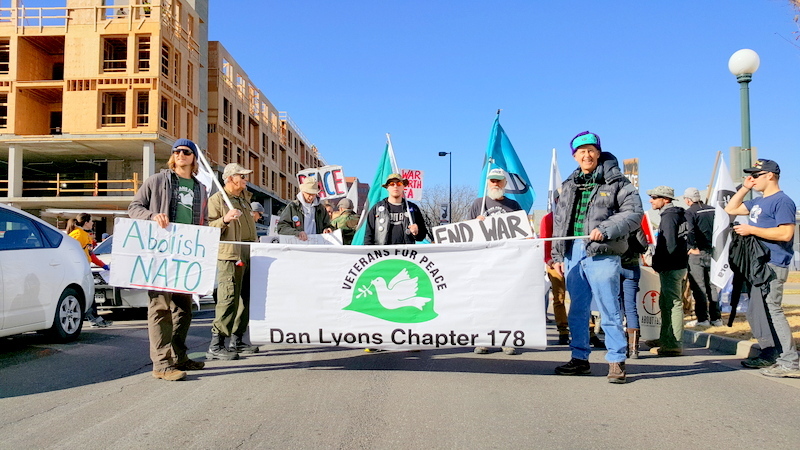 Veterans for Peace entered the parade to spread messages of peace and to end military responses to conflict. Those “real reasons” were also expressed in 2016 by Army veteran Matt Stys who now resides near Colorado Springs. Stys told The Nation Report that during his deployment that he never saw evidence of protecting freedom or democracy, but only facilitating corporate operations that were operating for profit. The top government contractors are weapons manufacturers such as Lockheed Martin, Boeing, General Dynamics, Raytheon, Northrup Grumman, United Technologies, L3 Communications, Bae Systems, Huntington Ingalls Industries. Since the start on the “War on Terror” weapons sales have tripled along with casualties from war. Military spending for 2016 reached $741.3 billion with over $3 billion of that total going to military contractors. Lockheed Martin’s weapons contract totaled $28 billion to Saudi Arabia following President Trump’s deal with Saudi Arabia for a $110 billion for weapons. 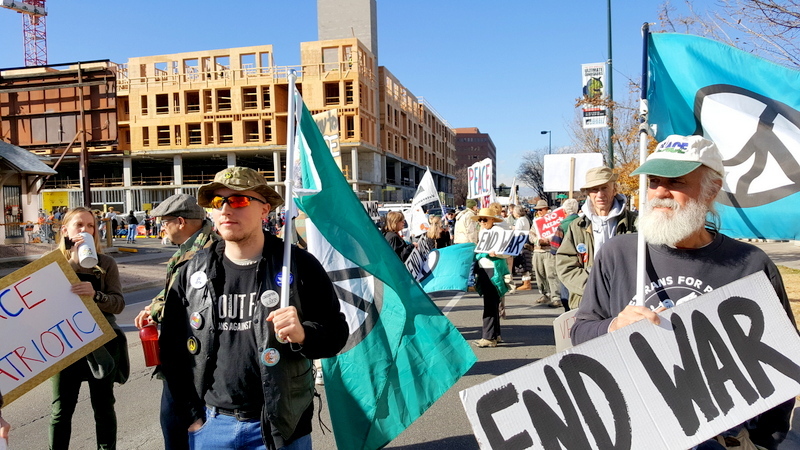 This entry was posted in Human Rights, Militarization and tagged Bae Systems, Boeing, CODEPINK, General Dynamics, Huntington Ingalls Industries., L3 Communications, Lockheed Martin, Northrup Grumman, Raytheon, United Technologies, veterans for peace. Bookmark the permalink.